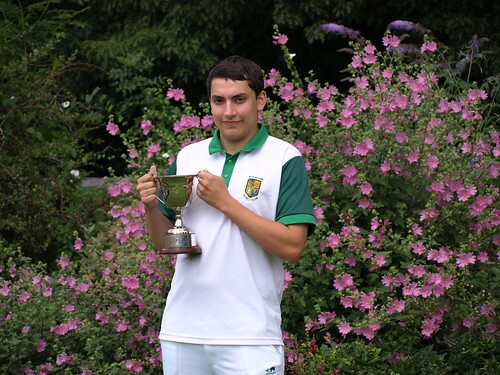 Congratulations to Watlington’s Sam Watts, Oxfordshire 2016 Under 25 Champion and finalist in the Singles and Champion of Champions, who has been selected for a 2016 Bowls England Men’s Junior International trial. The trials will take place at Victoria Park, Royal Leamington Spa on Monday May 30th, 2016. After being unsuccessful in his trial last year, we have every confidence that the experience will stand Sam in good stead in this years trial and we wish him all the best to go one better. Do you feel left out when others seem to be in the know? Nobody told you that the County has a President? You wouldn’t recognise him if you saw him? How about obtaining the actual knowledge about the County rather than by hearsay. What is the Vice Presidents Association? What are the Rules for the Oxfordshire Bowls League? Where do I find the League Fixtures? What are Home Counties games about? What does the County do for youngsters? The answers to the above are available to all in the 2016 YEARBOOK. 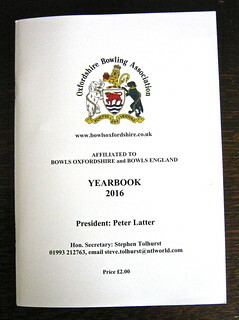 County Secretary Steve Tolhurst will have copies for sale at all County matches, (they are in the book as well). S. Tolhurst, OBA Secretary, 4 Glenmore Road, Carterton, OX18 1TX. Don’t forget to include your name and address.